Last year I had the honour of photographing an inspirational lady Sue Hampton, Author and ambassador for Alopecia UK. I was so intrigued by her story I asked her to share it with you here in her own words. 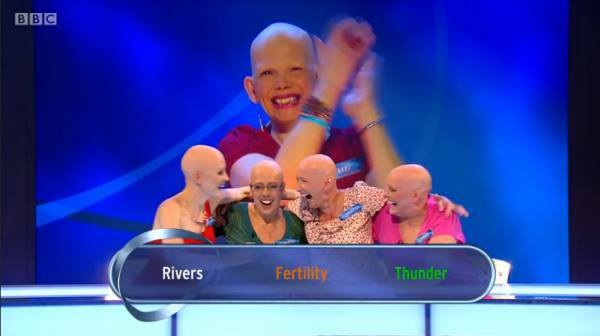 “You may have seen me in Good Housekeeping recently, and in March you may have caught me on BBC’s Eggheads, captaining a victorious team of bareheaded women to win £29,000 for Alopecia UK. I’m an Ambassador for the charity, along with Heather Fisher, the British rugby player and her fellow-Olympian, cyclist Joanna Rowsell-Shand. It’s a role I love and one way or another, I’m in demand and people remember me, because I’m a bald woman and I’m not in hiding anymore. It has its advantages. A generous photographer, Mikaela Morgan, offered to take pictures of me, a wonderful artist asked to paint me and a talented musician has just written a song about me. Yet this attention is exactly what I dreaded when I lost every hair on my body thirty-five years ago. I didn’t want to be defined by alopecia. I wanted to be known for a different reason, as the author I’d longed to be since the age of six. Life hasn’t taken the kind of path I ever foresaw, and has delivered a few identity changes along the way, yet I’m happier and more confident than I ever imagined I could be. And yes, I’m an author – even though the world chooses to be more interested in my baldness than my novels! As a shy child I soon discovered that writing stories was what I did best. I grew up living in the world of my imagination. But my self-esteem was low, because I didn’t like what the mirror showed me: my body shape, my turned-up nose, but most of all, the frizzy hair. My teenage years were acutely self-conscious. I was academic but convinced that I was fat, ugly, and cursed with hair I couldn’t control. So I hated photographs. I thought I’d never have a boyfriend. And my parents gave me unconditional, expressive love, but they didn’t understand my concern with my appearance. Embracing their Pacifist, egalitarian principles and Quaker belief in simple living, I felt shallow as well as unattractive! Then, through training and starting work as a teacher, I narrowly avoided anorexia while losing weight, and my hair began to redeem itself with soft curls rather than eccentric frizz. I had boyfriends, I got married… and my hair fell out. It’s an auto-immune condition, it’s mysterious and unpredictable, and there isn’t a reliable ‘cure’. For me the process of loss (and it does feel like a small bereavement) took about four months from the first small patch I could only feel to the fully-fledged form of alopecia known as universalis. Not one hair left on my body. No eyelashes and no eyebrows. I was barely twenty-five and it was the worst thing that had happened in my young life. I was in shock, appalled by the transformed (baby-alien) identity I saw reflected back at me, and all I could think to do was hide it. So I bought a terrible acrylic wig from a department store and had to stick it in place with double-sided tape after a gust of wind blew it across a playground. I cried a lot. And I hated photographs like never before. Over the years I was able to spend big money on beautiful heads of hair hand-made for me in London. By the time everything changed again, I was wearing long, pretty princess/Girls Aloud wigs that earned me compliments. I was smiling out there in the world I hoped to fool, but I lived in fear. Alopecia terrorised me, because it was my secret and it put me at risk. Wind, rain, salt, sand, Games lessons on the field, heatwaves, the residential school trips I led as a teacher – they were all threats. Alopecia is different for everyone and as individuals we all manage it in different ways but I wish I’d lived it differently. I’m an open person and I felt uncomfortable with the pretence. I shared with class after class my passion for stories and many of my values too, but I concealed a part of me, as if I was ashamed. All this time I felt diminished as a woman and I was sometimes a weepy and rather feeble mother. I didn’t only feel insecure but unlovable, and one of those ‘worse things’ than alopecia was my divorce. But the change began when, as I approached fifty, I determined to try to get published. I’d only had time as a teacher to write the school play, a poem or a paragraph to illustrate a technique. But that summer holiday I wrote a story – about a young girl with alopecia. It was therapeutic and a revelation too, because I realised my character, Daisy Waterhouse, wasn’t living in fear like me. It was years before I understood that she was the person I wanted to be. It was the story that made me an author because Michael Morpurgo, the children’s writer I admire most and the winner of every possible literary award, told me when it was just a manuscript that it was “beautifully written”, “insightful” and “poignant”. But even once I’d found a publisher for other stories, stopped teaching and become a professional author, I held that one (The Waterhouse Girl) back because it would blow my cover! In the meantime I’d met Leslie, now my husband, and found to my astonishment that he loved me just as I was. My confidence had grown; I’d started to see myself differently and to know, at last, who I was. Now, in addition to regular author bookings, I’m sometimes asked to support a young person in assembly, by standing beside him or her and helping the rest to empathise. It can turn things round and I’m overjoyed to be able to help. Even so, I was taken aback two years ago, when a doctor at the annual charity conference said to me, “Have you ever considered that alopecia is not a problem but a gift?” but instantly I knew the answer. It is. I turned sixty this year, my skin is sagging and I have scars from major and minor surgery. Yet, bizarrely, I’m at peace with the way I look. I dress to my bald scalp with vivid colour, and enjoy it. I love the breeze, summer showers and sun on my bare head. And I don’t mind mirrors or photographs anymore because I’m happy to be me at last. I don’t care what people make of what they see; that’s up to them. I’m flawed as a human being but I believe beauty is the light inside. I know it’s only love that matters, that we are one beneath the skin, that we each have the right to be the unique individual we all are, and that only by celebrating difference can we unite and address the problems we face as a species. I believe in the power of words and stories to change the world; after all, a story changed mine. And I’m thankful.